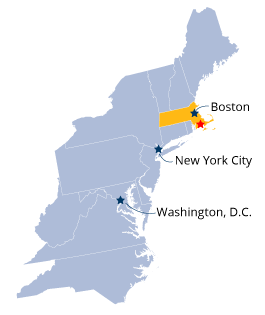 UMass Dartmouth is set on 710 acres on the SouthCoast of Massachusetts, between Providence, RI & Cape Cod—just 1 hour from Boston. Provides support for visas and other immigration forms as well as required documentation for international students and scholars while in the United States. Provides general advice and assistance with campus life and personal needs. Offers workshops on employment and other subjects of interest. Co-sponsors cultural events with other organizations on campus. Academic resources—Resources, programs, and people to help you on your academic journey. Health & safety—Information and resources for your well-being. Activities & organizations—What's the key to student success? Get involved! Student development—Ambitions? Goals? Dreams? Your opportunities are limitless. Technology—Creative technology supports our learning community. Group trips are organized each semester. A typical group trip can take you to nearby cities such as New Bedford, Boston, or New York, the beaches of Cape Cod or the mountains of New Hampshire. View our public calendar of events to see what events and activities are happing on campus.